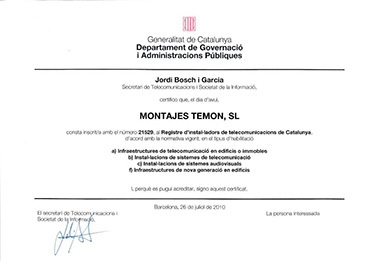 CLASSIFICATIONS - Montajes Temon, S.L. Group A, for telecommunications infrastructure in buildings or premises. Group B, for telecommunications system installations. 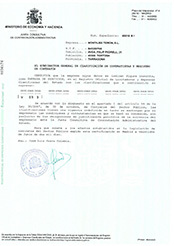 Group C, for audiovisual installations. Group F, for new generation and control telecommunication networks installation, management and safety in buildings or constructions. We perform all types of civil work, like grounding.